Colin Kaepernick & What the National Anthem Stands for? I spent close to 60 hours playing this game. And it was my first Zelda game ever! I finished it a while ago, so I’ll try remembering some of my thoughts as best I can. Oh, and spoiler alert. FWI, just in case other versions are slightly different, I played this on the Wii. Let’s start with my dislikes so we can end on a high note. Zant. I like his story. I kinda like his design. But when he was first introduced he seemed so calm, intimidating, and in control. When he takes off his mask near the end is when it started to go downhill. He moved and spoke in a very strange way and basically threw temper tantrums like Kylo Ren a baby during his fight. Why was he even here? He was replaced by Ganon anyway! Our little Ooccoo friend. I can’t think of any reason for him to be in every dungeon other than to set up his peoples’ story. He’s completely useless. I mean, I’m sure he can do things, but I never used him. Plus, look at this face! NIGHTMARES. This thing stares into your soul, man! 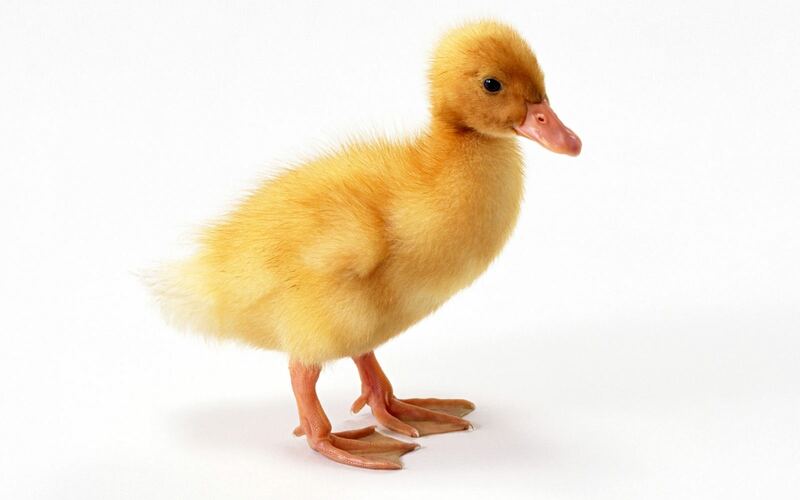 I think they kinda look like a combination of Baby Voldemort in HP: Goblet of Fire and a chicken/goose/duck/thing. What were they thinking while designing these things?!!?!11?! The dungeons are a big part of this game. But I guess it just wasn’t my thing. I preferred wandering around, doing things for random people to getting lost in a dungeon (maze, more like it), trying to figure out what room I haven’t been to yet and how to get there. I ended up using a walkthrough for most of this game, and that kinda sucked some of the fun out of it. Maybe I just wasn’t in the mood to figure stuff out myself. Maybe I’m just not skilled enough for this kind of game. I don’t know. I just want direction! While I like Link’s design, he seems pretty emotionless. Even when he’s happy it looks strange. I could hardly relate to him except for maybe a few scenes. It could have to do with the fact he doesn’t speak too! ^ This cut scene! What was up with this scene?! With all the Ilias floating/falling upside down! That was weird! Nintendo, you trying to be dark? ‘Cause this was just odd. Interesting idea. Seemed like a cool way to tell the story, but nah. Epona doesn’t get much screen time. I wanted to get a good feel for Link’s bond with his horse, but we didn’t really get that. Not a lot of scenes with Epona near the end. And during some cutscenes, the dialogue goes at its own speed. I couldn’t control it so sometimes I worried about reading too slow. The people living in Castle Town seem completely oblivious to the fact the castle is encased in some sort of glowing diamond! Rhombus? Octahedron. Whatever. They should be freaking out, not just going about their day like this is normal! After the credits, I thought I’d be able to walk around, explore, and visit the village after everything got better. When I went back in, I was in front of the castle before the final battle. I didn’t really get to enjoy the victory. There were scenes in between the credits which I appreciated, but I wanted to talk to everyone! 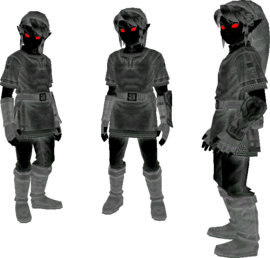 I understand that before the final boss was the last time we really had Midna with us, so I get why it didn’t allow that. She was a huge part of the story. The portals were pretty important too. Without her, it would’ve been strange. But at least give me an option, please. “Do you want to go back, or visit with your friends, Hero?” Going back to before I even won made it kind of anticlimactic and disappointing. I don’t know. Learning new attacks is optional. What if I decided to completely ignore the golden wolf? I’d be a terrible swordsman! And the enemies get harder and harder as the game goes on. I get that a big part of this game is the exploration, but fighting is essential to this story progressing. I probably learned a little over half of the attacks because I couldn’t find all those…things. I don’t remember the name. The things Link had to howl into! Those! Am I a bad explorer? Probably. I didn’t find all the heart pieces either. Midna was the best. Like I said, Epona didn’t get a lot of attention, but riding a horse everywhere would’ve taken forever. Her portals were really helpful, she was a cool and mysterious character to have around. I liked her backstory, her design, her powers, and even the little “talking” noises she made. One of my favorite parts was when she was unable to do anything and Link was stuck as a wolf with Midna lying on his back. It was a good way to make us realize we care about her, and in that moment all I wanted to do was help her. Good job. Zelda wasn’t around a lot, sadly. But when she is she’s super helpful! Her story was great too. The arrows she used in (one of) the final battle(s) were great because there was no way I was going to be able to do that! It would’ve been like saving Ilia from a flaming carriage all over again! STRESSFUL. I like the kids from the village. I liked Ilia, Malo was hilarious, Colin was great, Talo and Beth were okay I guess. Their side of Link’s quest Link is not really focused on. That makes sense, seeing as there are other more dangerous things in the world to deal with. But after taking a break from playing it (since Winter vacation was over) I had completely forgotten about Ilia’s memory loss and the kids in Kakariko Village. All I remembered was collecting/killing bugs. Lots of bugs. And a lot of spirits. I know this game was released in 2006. I know there are better-animated things out there. But I haven’t played as many games as others. My standards might be kinda low. You tell me whether or not that’s a good thing. But this game looked fantastic! I really liked how this game looks. The first part of this game was fun for me. Before he even met Midna or the kids got kidnapped. I liked doing little things for everyone. But that being said, how could this town function without Link?! Sure, I’ll do your job for you, lazy. Herd these goats? Fine. Rusl was the only helpful one out of all of the people in the village. The scene where they say goodbye to Midna was fantastic. Like I said, the scenes we saw during the credits were good! Everyone went back home and I felt really happy with how the story came to a close. The biggest reason I’d want to pick up any other LoZ game would be the story. The story in this game was fantastic. I had hardly any prior knowledge of the Zelda universe before playing this, so for all I know this could be the worst game in the franchise and the story just butchers the original. Whatever. I don’t know. All I know is the Twilight Realm, the Fused Shadow, Link’s Triforce birthmark, and him turning into a wolf (which was unexpected! I didn’t really look at the box art I guess) were all really cool! My favorite items were the double clawshot and the spinner. 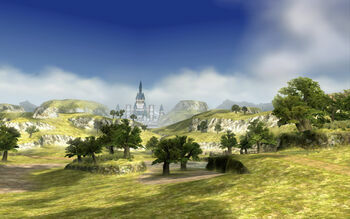 My favorite areas were Zora's domain and the Faron Province. So overall I do think I have more complaints about this game than things I loved, but that won’t stop me from trying another LoZ game in the future! It seems worth it. This might not have been my kind of game, but who knows? I could warm up to it. I did like the characters (for the most part) and the story. The mechanics were simple enough. So how did you guys like the game? Feel free to comment and tell me. :) ‘Til next we speak!